The annual programme for the Yacht BOAZ expedition commences in April of each yearwith seven people on board, consisting of the skipper, two watch keepers, one scientist , a videographer and two assistants. From April to September Boaz will cross to the islandsof the Indian Ocean, with the main destination being the Bay of Antongile on the eastern side of Madagascar. It is here in the remote town of Maroansetra that the Boaz programme was inspired. The annual expedition follows one of the core objectives.of Yacht BOAZ which to conduct scientific research into the extent of pollution by sampling the ocean on a regular basis, to examine the effects of plastic ingestion on marine species, to inspect remote beaches either by visits or remotely operated drones, to develop a referential data base over the ensuing years, and to offer support for any research allied to the broad objectives. Visits to schools will be conducted at the various ports to provide education to the students on the detrimental effects of Marine and plastic pollution on the health of our Oceans and its overall effects. Education and raising awareness on Ocean pollution and its effects is our core objective. On return to South Africa in October the school education visits along our coast will take place, and the planned video showing the local students and those from the Islands will be finalized. 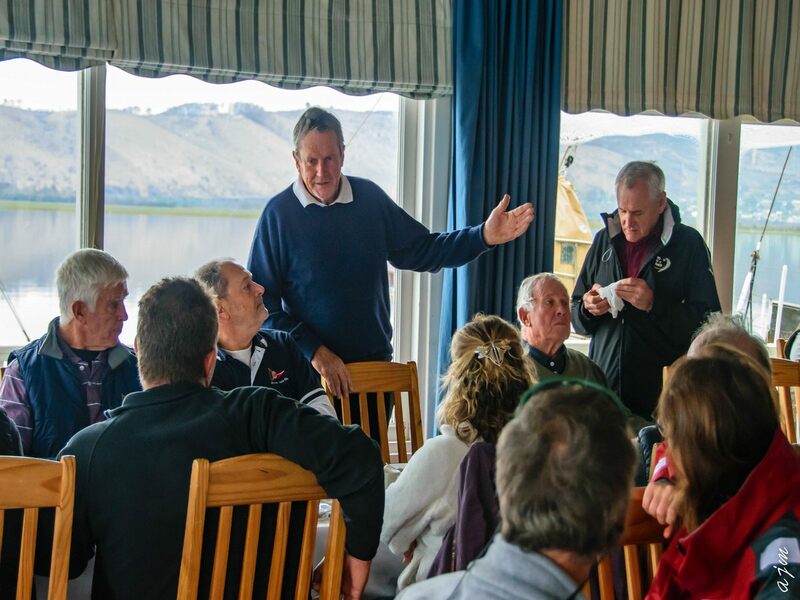 Groups will visit the boat at South African that includes Knysna, Mossel Bay, Gordon’s Bay, Simonstown, Cape Town and Saldanha Bay for an onboard lecture about Boaz and its objectives. The visits will be while in harbour. For a selected group of students a short sail will be conducted based on a competition that will heldeach year arranged by Sustainable Seas Trust, from selected schools. This will be featured in the video, with brief presentations of the studentsachievements in the competition. 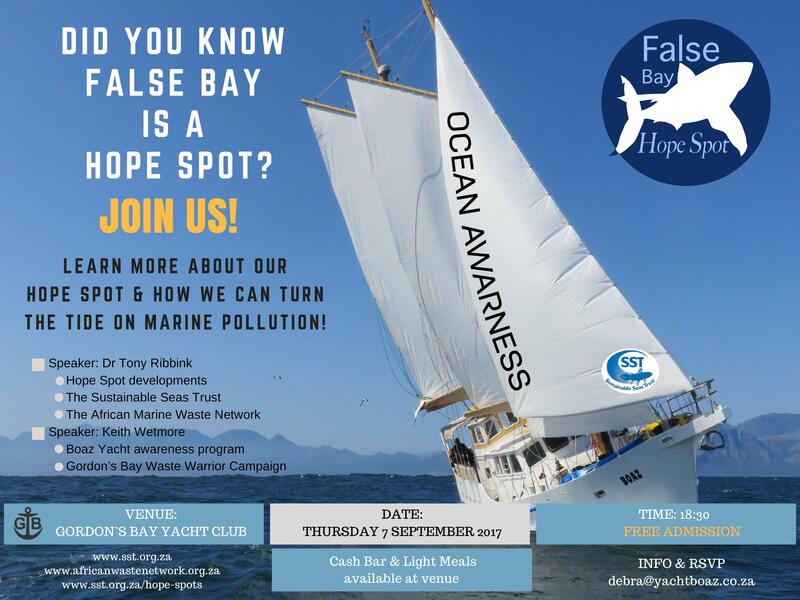 On return to Cape Town in November and in the final stage of the voyage, Yacht BOAZ will be promoting the unique HOPE SPOTS particularly False Bay in supporting the Mission of Sustainable Seas Trust and Mission Blue,Dr Sylvia Earl.